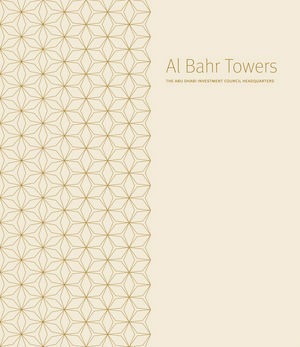 This publication is entirely centered on the design and delivery of Al Bahr Towers. With 300-colour images, it is highly visual with specially commissioned photography by Christian Richters. An illustrated introduction by the architectural correspondent of The Financial Times, Edwin Heathcote provides an engaging account of the background behind the building: the client, the circumstances behind the commission and its most significant architectural precedents. Expert insight is provided into the history and philosophy of Islamic architecture by Professor Eric Ormsby of The Institute of Ismaili Studies. A unique description of the design and procurement of these ground-breaking structures is provided by architectural author Edward Denison. Peter Oborn is former Deputy Chairman of Aedas Architects Ltd, part of the Aedas Group, which is ranked as one of the world’s largest international architectural practices. Peter has considerable experience of working internationally, particularly in the Gulf, and has completed projects in Oman, Qatar and the UAE. He was responsible for inception of the practice’s Research & Development group, based in London, which has developed specialisms in sustainability, advanced modelling and computational design. Underpinning the work of the group is a commitment to an increasingly rigorous and thoughtful design process, combining empirical analysis with creativity. Peter is a national member of the RIBA Council and was elected the RIBA's Vice President for International Relations in October 2011.